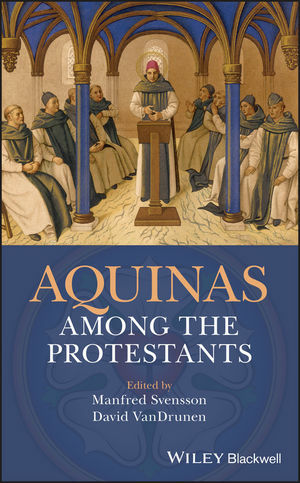 This major new book provides an introduction to Thomas Aquinas’s influence on Protestantism. The editors, both noted commentators on Aquinas, bring together a group of influential scholars to demonstrate the ways that Anglican, Lutheran, and Reformed thinkers have analyzed and used Thomas through the centuries. Later chapters also explore how today’s Protestants might appropriate the work of Aquinas to address a number of contemporary theological and philosophical issues. Aquinas Among the Protestant is a ground-breaking and interdenominational work for students and scholars of Thomas Aquinas and theology more generally. Manfred Svensson is Professor of Philosophy at the University of the Andes, Chile. His research has focused on Augustine, the idea of things indifferent (adiaphora), and on the history of toleration. His most recent book is Reforma protestante y tradición intelectual cristiana. David VanDrunen is the Robert B. Strimple Professor of Systematic Theology and Christian Ethics at Westminster Seminary California. He is the author or editor of ten books, including Divine Covenants and Moral Order: A Biblical Theology of Natural Law.